Thursday's selling had left indices vulnerable to further losses and support breaks, not to mention a weekend of angst but indices held on - ready for a fresh start next week. 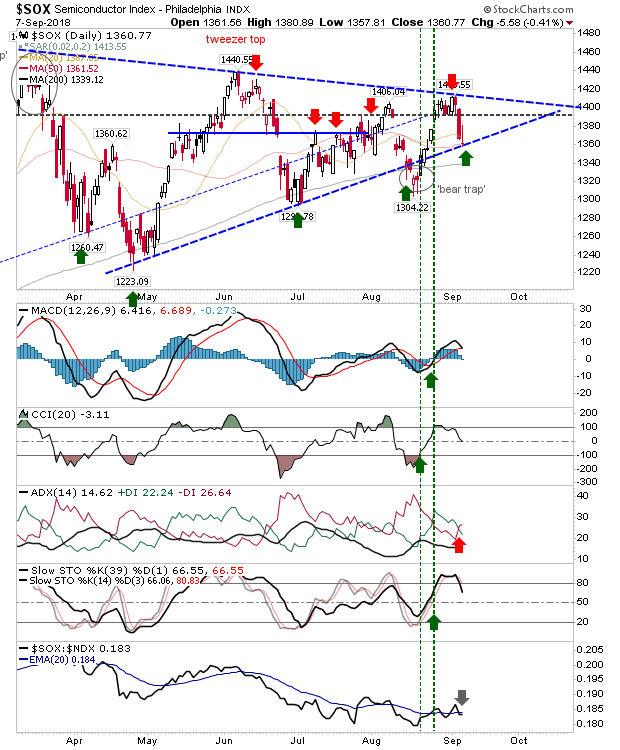 The Semiconductor Index experienced the greatest loss Friday but the consolidation triangle is approaching its apex and if there is to a break (upside or down) then it's going to have to happen soon or the pattern will trade out flat. Friday did see a successful support test and a buying/short covering opportunity. 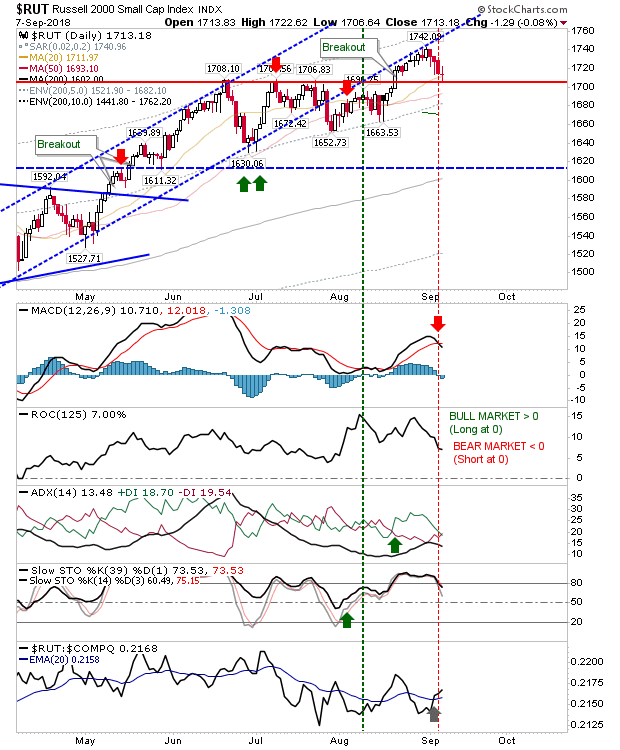 The recovery in the Semiconductor Index was enough to see the Nasdaq hold on to channel support. 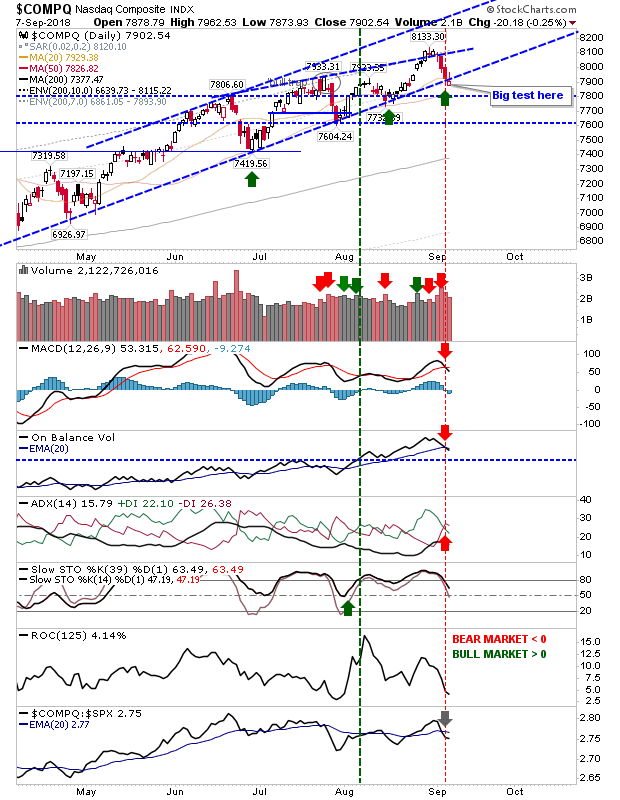 Technicals do have to contend with 'sell' triggers for MACD, On-Balance-Volume and +DI/-DI; so the edge is for further losses but until then it's a support 'buy'. It was a quiet day for the S&P. 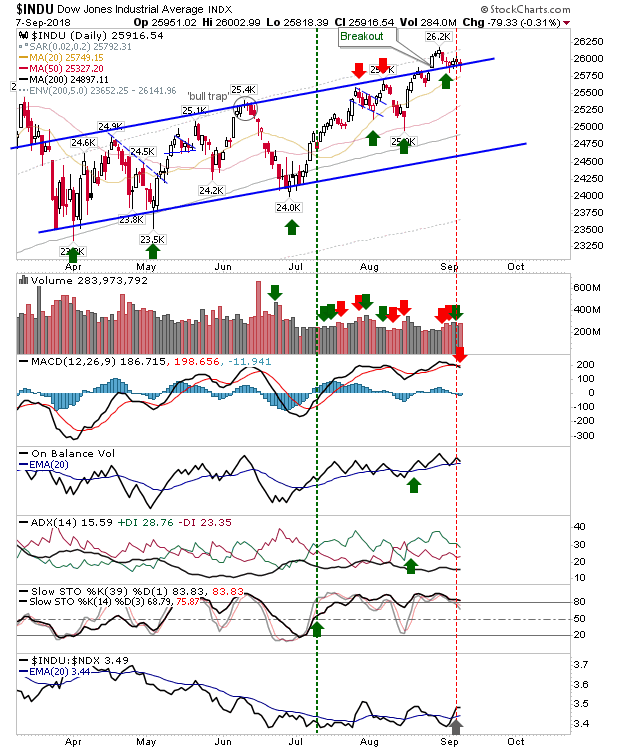 The 20-day MA held as support and a potential new, accelerated channel could be in the making. If true, then Friday was a successful test and 'buy' opportunity and gains should follow Monday. The Russell 2000 held 1,705 breakout support on a neutral 'spinning top' doji. While Friday's candlestick is not one typically associated with successful support tests it didn't break support. The MACD trigger 'sell' is a concern but other technicals haven't gone against it and relative performance - while erratic - is in Small Caps favour. 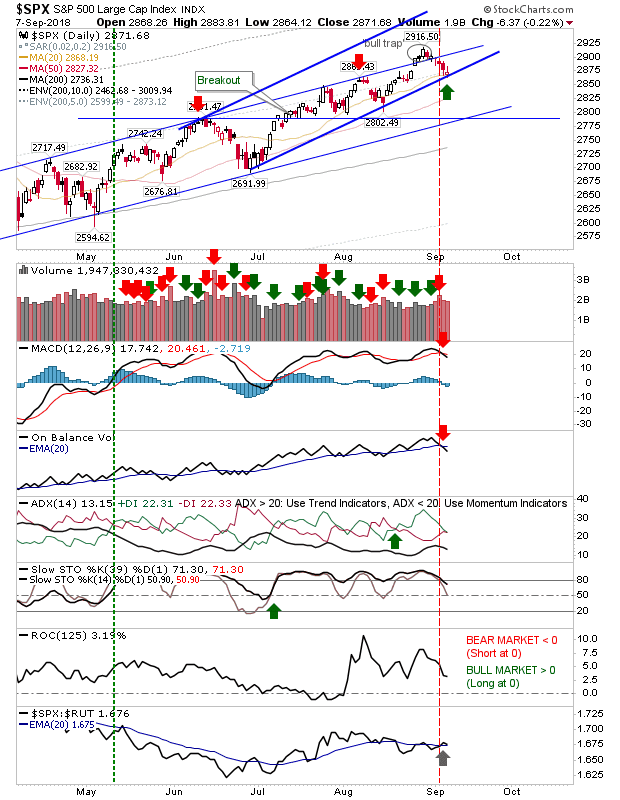 The Dow Jones Industrials Average held support for another day. It's playing a good waiting game - trading just below all-time highs but near enough that a couple days of gains should be enough for new all-time highs; when this happens, fresh money should start to come in. 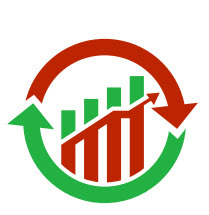 For Monday, look to the successful support tests as buying opportunities. Assuming markets can hold out after the first half-hour and the last couple of hours of trading, then these indices will be well placed for the next phase of the rally.